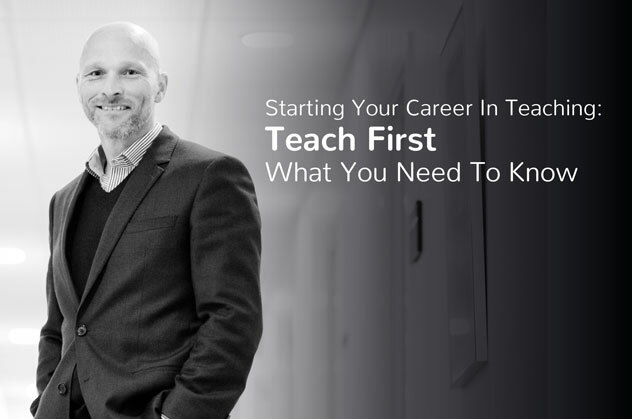 Continuing our series of ‘Start Your Career In Teaching’ we look at the Teach First option. There’re a number of teacher training programmes to choose from. Making the correct choice for you may be a confusing one. To aid you with the teacher training options available we’ve put together these guides. They include PCGE, School Direct and SCITT training. You’ll need to meet some academic requirements before you apply for the Teach First programme. These are: 2.1 degree or above, 300 UCAS points or equivalent, A degree or A-Level that meets Teach First teaching requirements, GCSE (or equivalent) grade C in Maths and English as well as grade C in GCSE science if you wish to teach primary. Before committing yourself to a training programme it is always strongly advised you gain as much school experience as you can. Contact your local schools and ask if you could volunteer. This will give you an insight into the day-to-day workings of a school, develop a network and ultimately help you decide if teaching is the right career for you. Teach First is an education charity that recruits high-achieving graduates to teach in schools where pupils are from low-income communities. The charity is working towards ending educational inequality by developing inspirational teaching and leadership to help every child whatever their background. There’s 5-6 weeks intensive training before spending two years at a school. Over the two years you are on the Teach First Leadership Development Programme (LDP) where you’ll work towards achieving a Postgraduate Diploma in Education (PGDE), which carries double the credits of Postgraduate Certificate in Education (PGCE). You will also gain Qualified Teacher Status (QTS). During your time training you’ll receive continuous structured support, mentoring and training from your school, Regional Training Provider and Teach First. Funding: Year one paid as an unqualified teacher and year two paid as a qualified teacher. Salary depends on region and school. Are you on the Teach First programme? What is your experience of Teach First? Would you recommend the Teach First route?